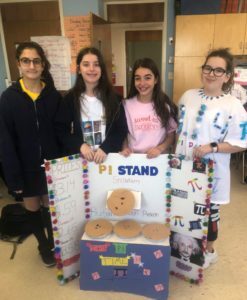 3.14 are the first three digits of π, so it makes perfect sense to celebrate π Day on the 14th day of the third month! 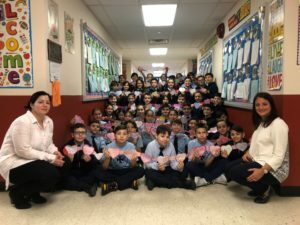 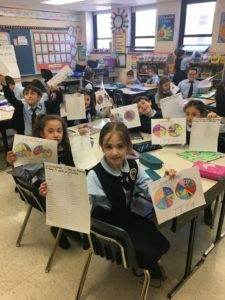 The entire school participated in fun Math activities related to π. 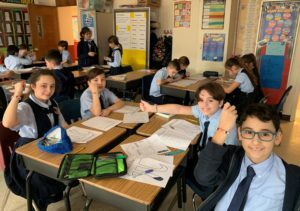 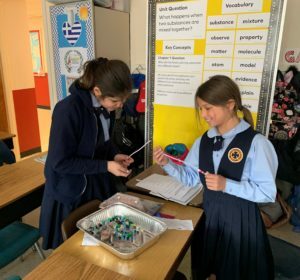 The fifth grade used color coded beads to make π bracelets. 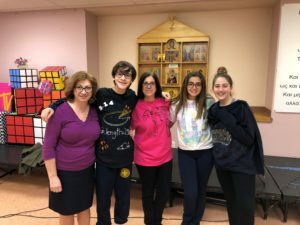 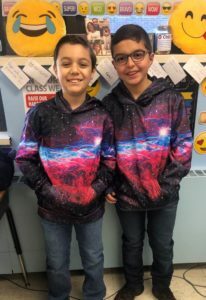 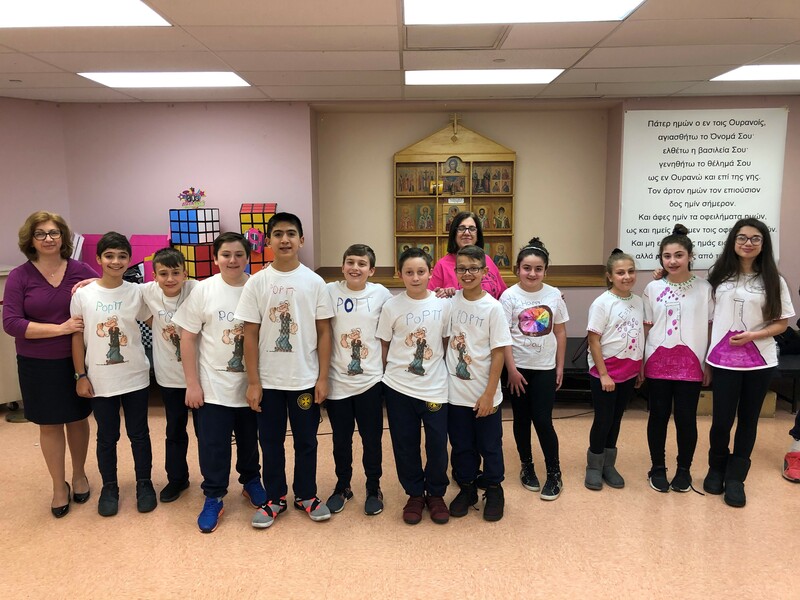 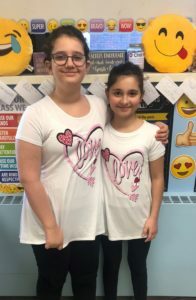 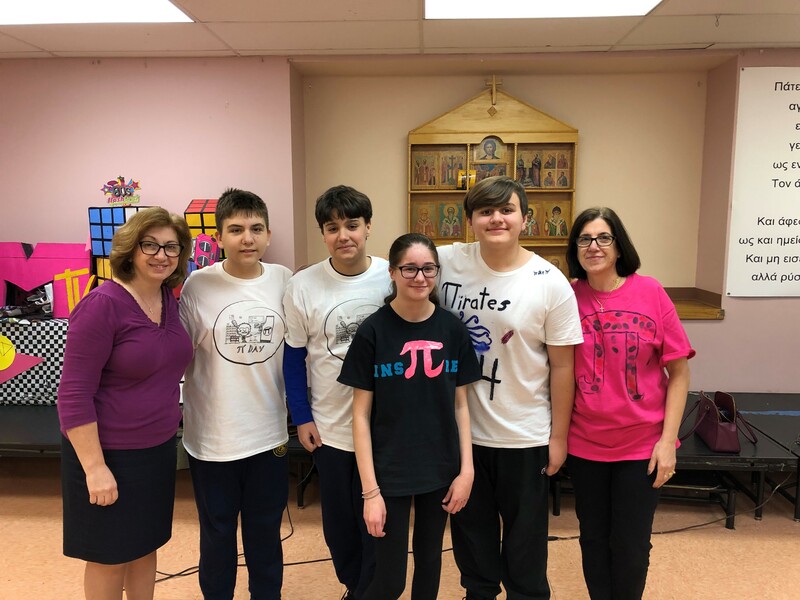 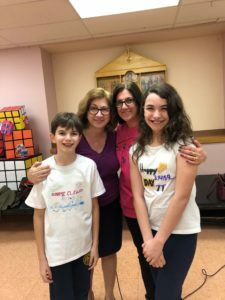 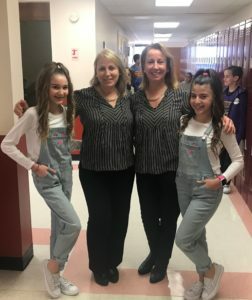 Our junior high school students enjoyed some very appetizing pies, wore π inspired tee shirts, worked on beautiful projects, and recited the digits of π. Congratulations to all of the sixth, seventh, and eighth graders who placed in the tee shirt contest. 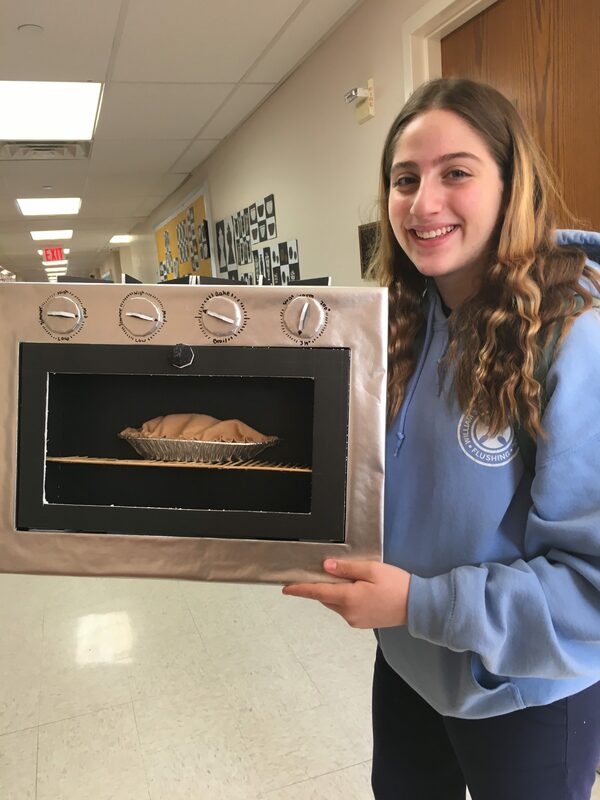 Congratulations to Tatiana Markou and Sophia Verwoert for their $3.14 vending machine project that won first place. 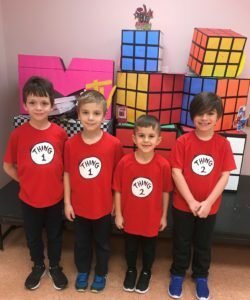 And, congratulations to Paul Argyros, Gianni Dellis and Chris Drakonakis for their creative π games. Students, teachers, and administrators had a blast playing their π-toss and π-linko. Finally, a special congratulations to Alexandra Skulikidis who memorized and recited a whopping 170 digits of π! 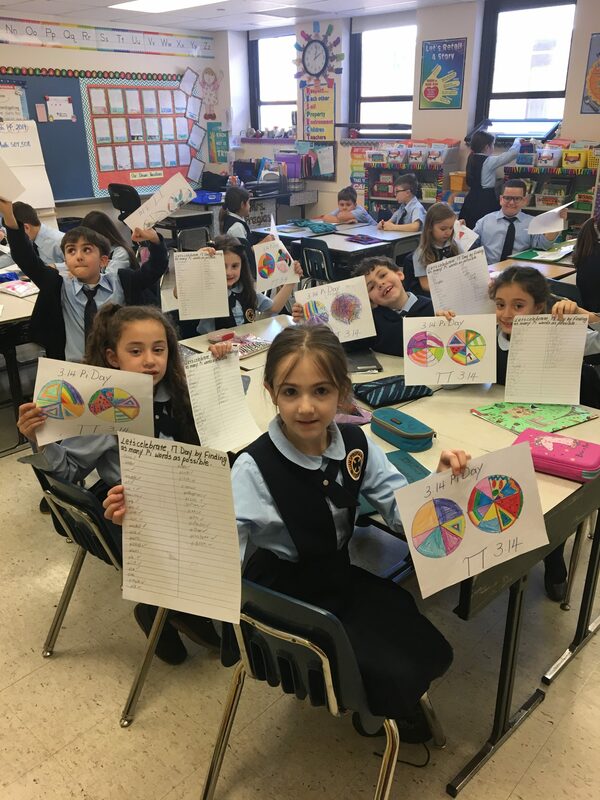 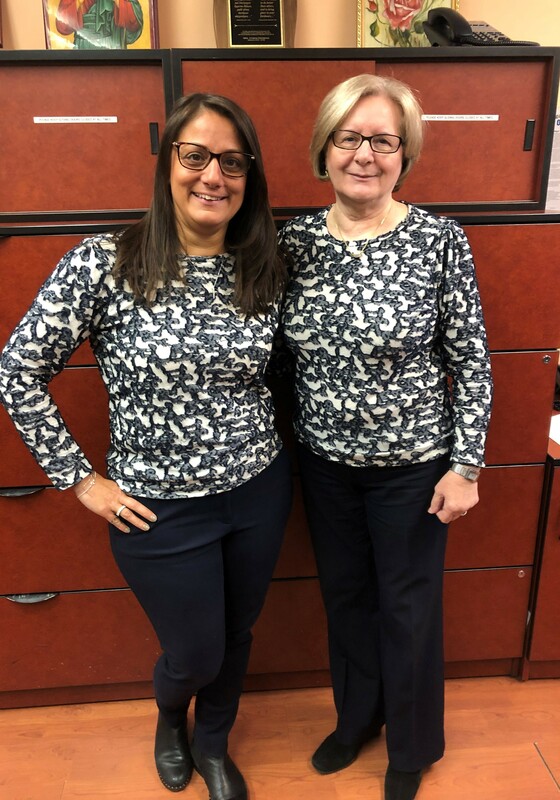 Thanks to all our Math teachers who “INS-π-RE” our mathematicians every day! 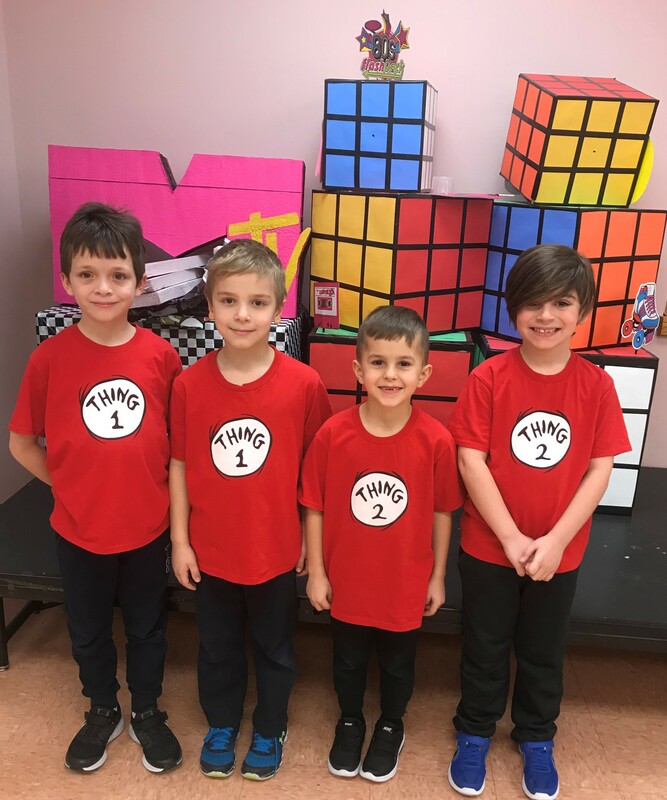 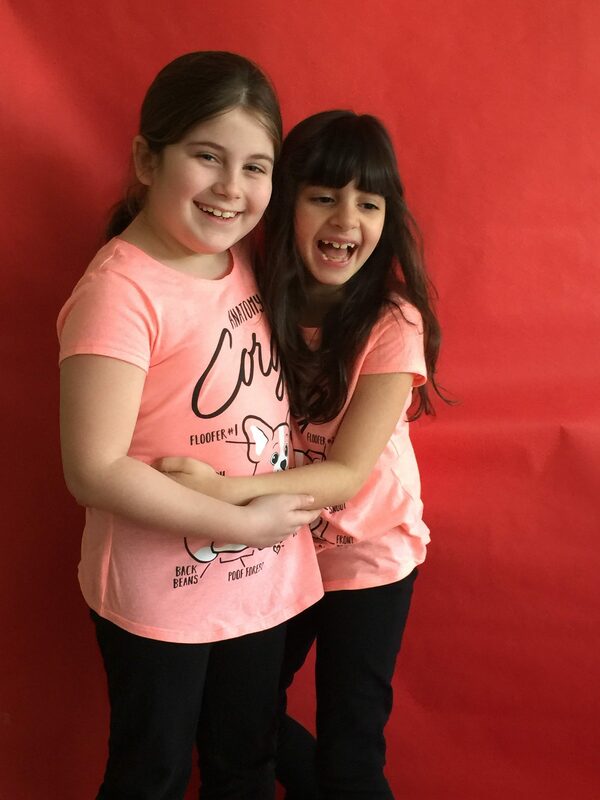 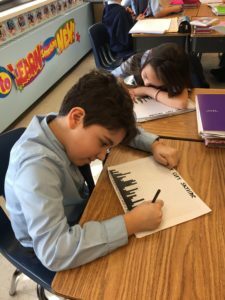 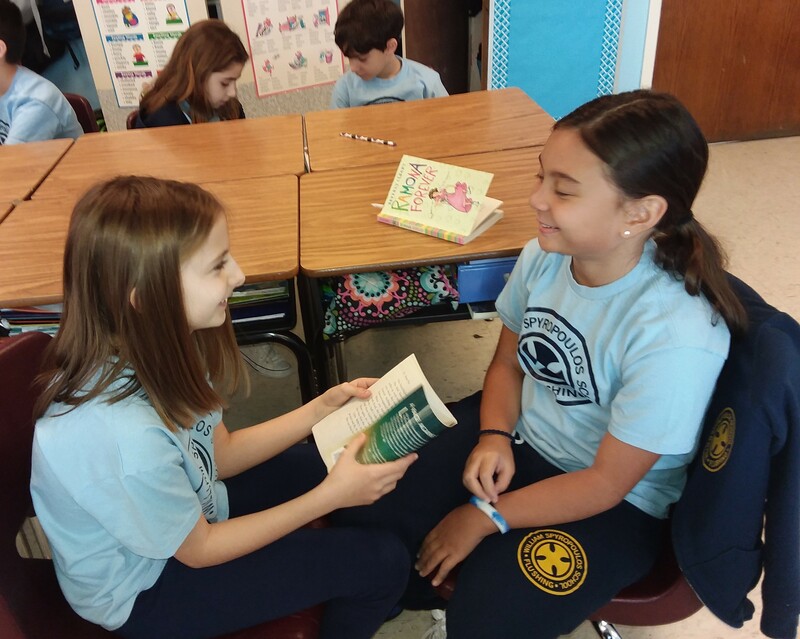 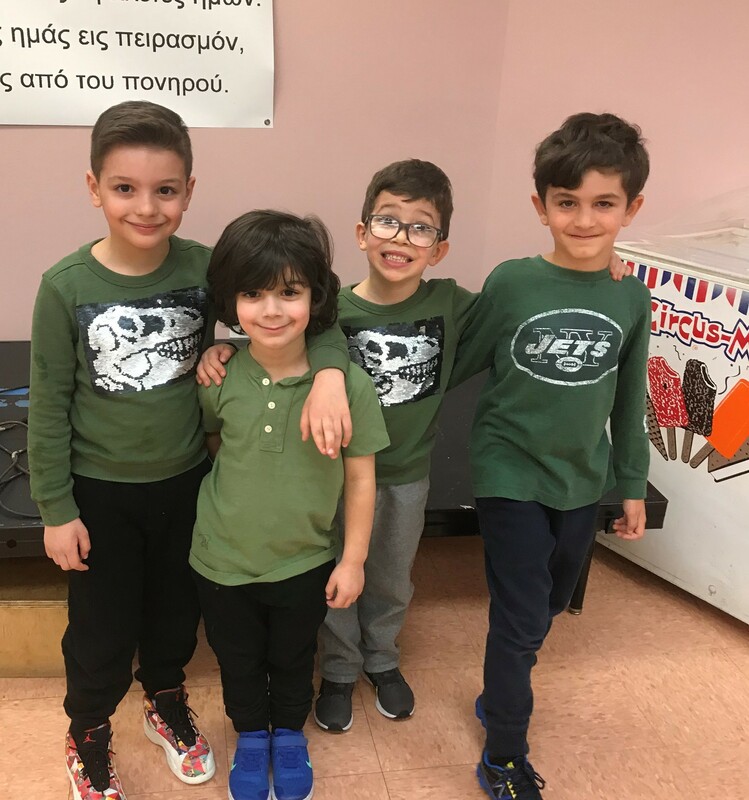 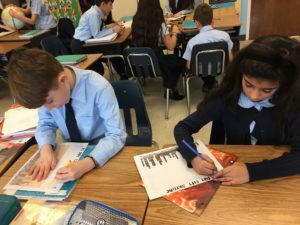 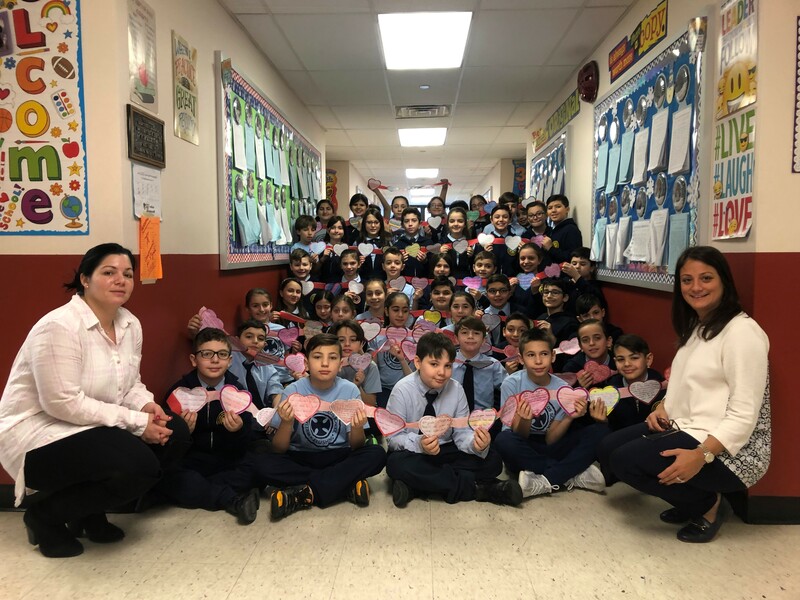 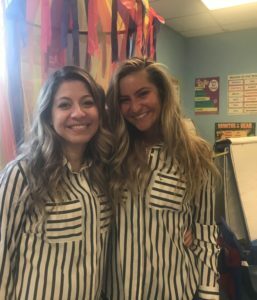 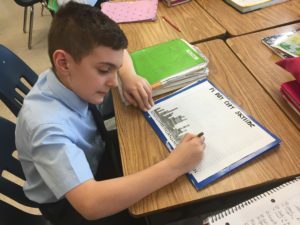 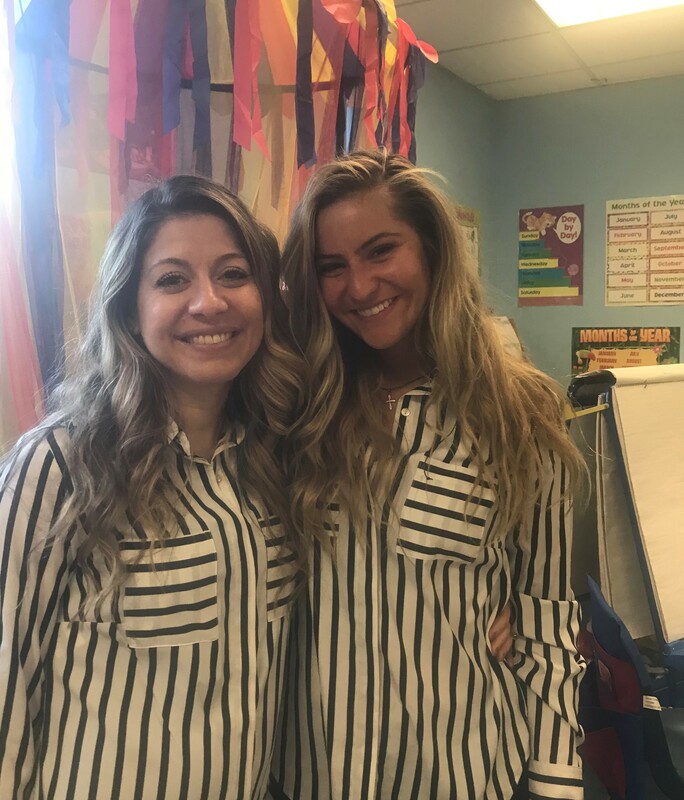 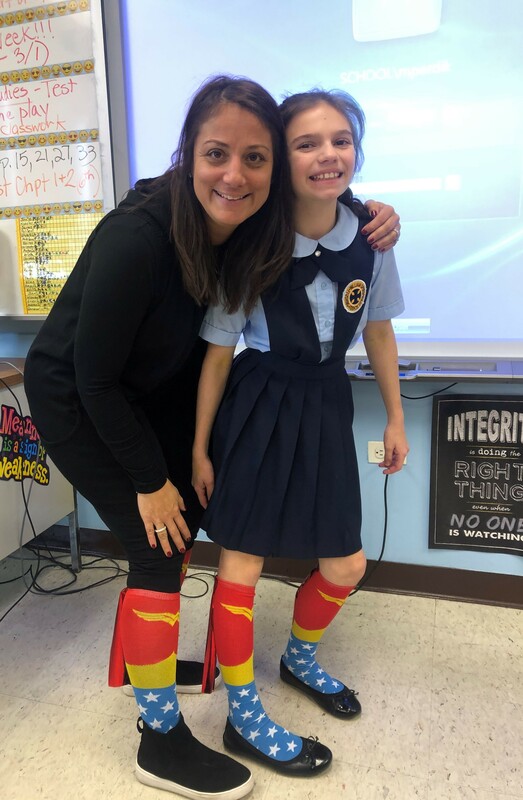 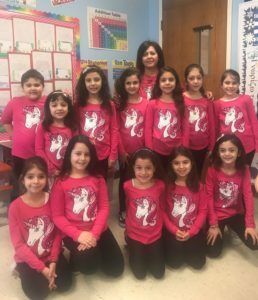 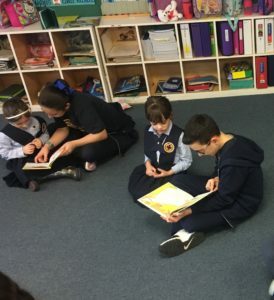 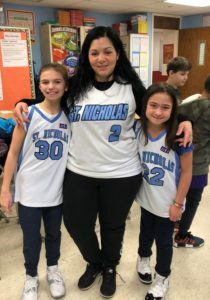 Much of Thursday, March 7th, was dedicated to reading as the students and teachers at our school celebrated “Read Across America” with a variety of activities. 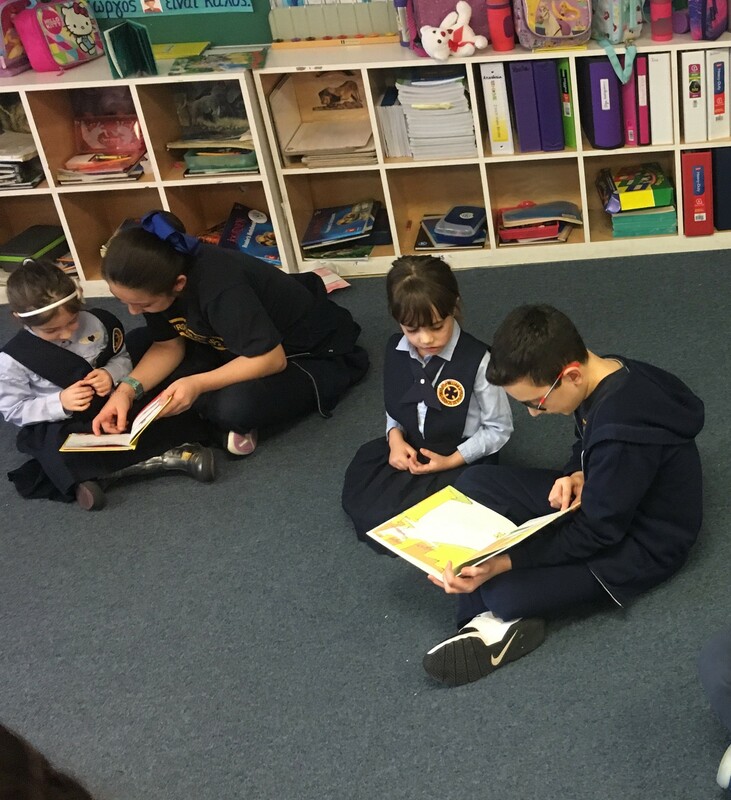 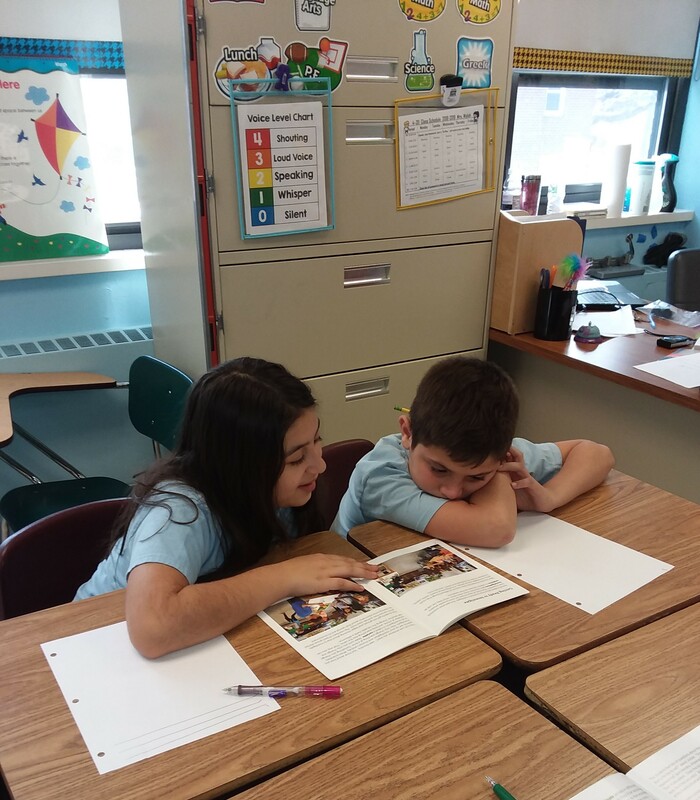 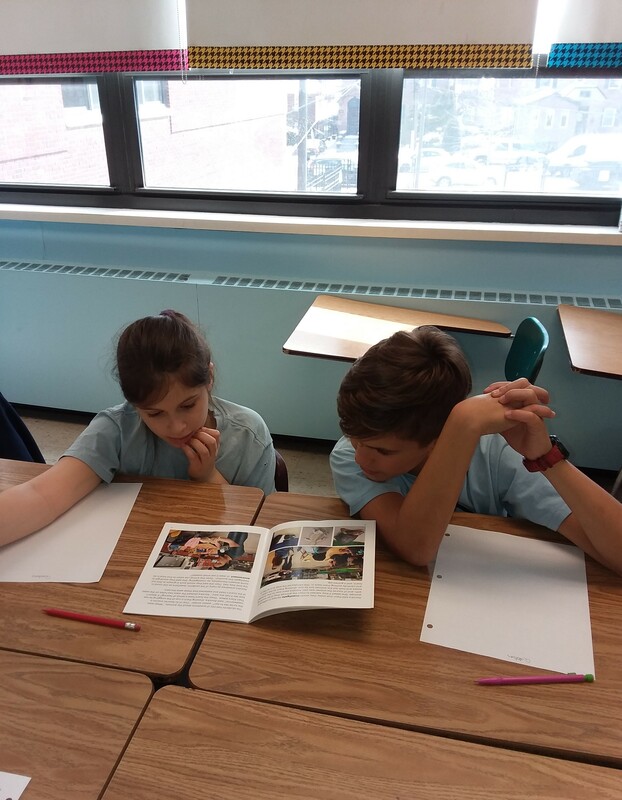 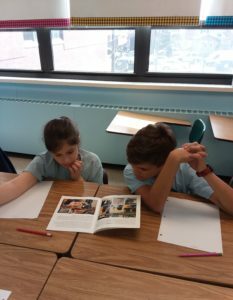 Students shared their favorite books with their classmates, and our kindergarteners were especially thrilled to be paired up with some of the older boys and girls who read to them. 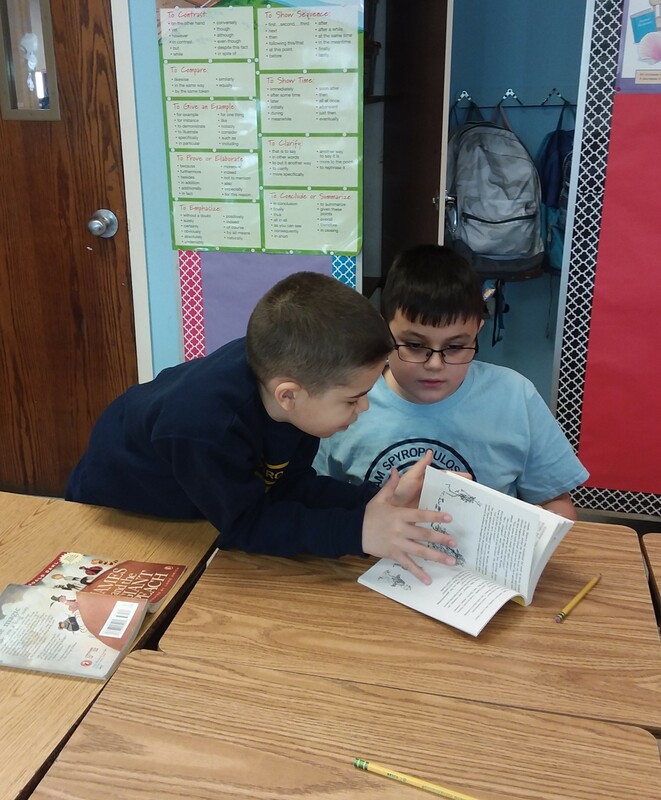 What a wonderful way to instill a love and appreciation for reading! 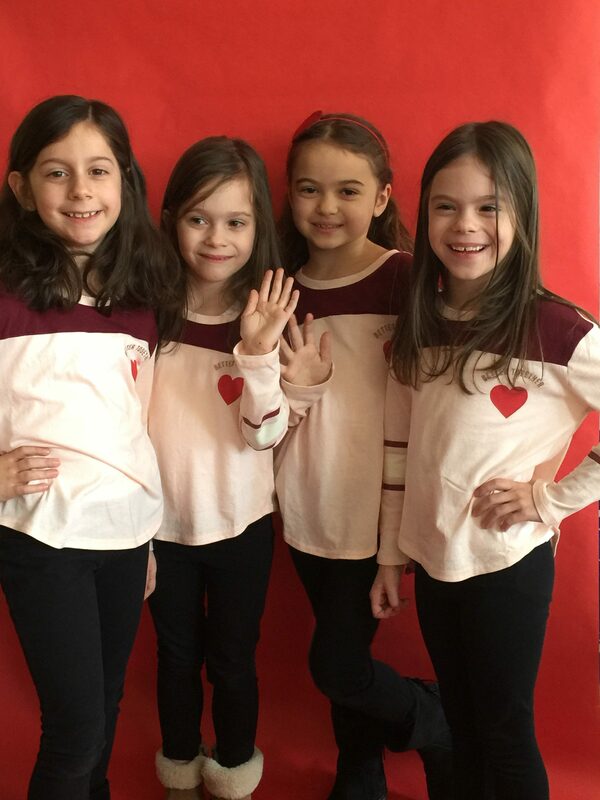 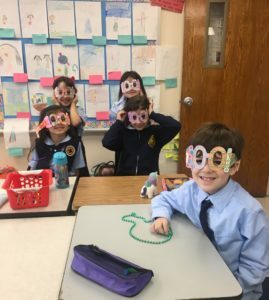 February was a short month, but it was chock full of fun! 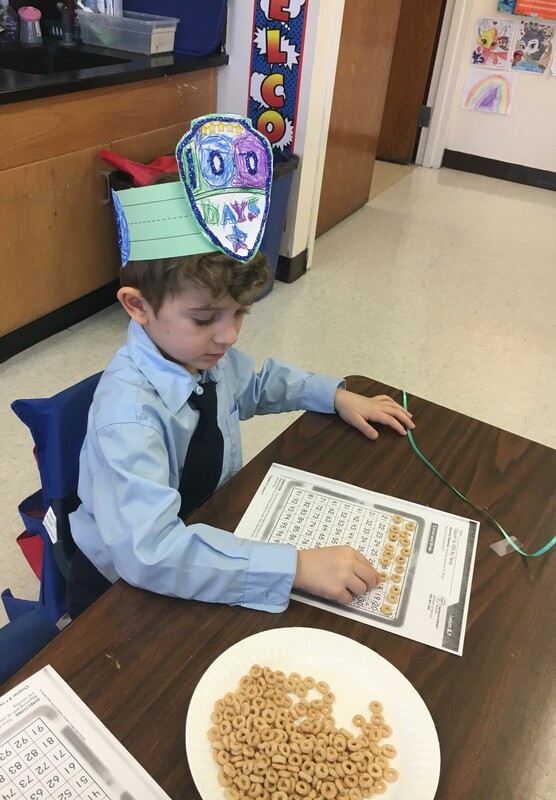 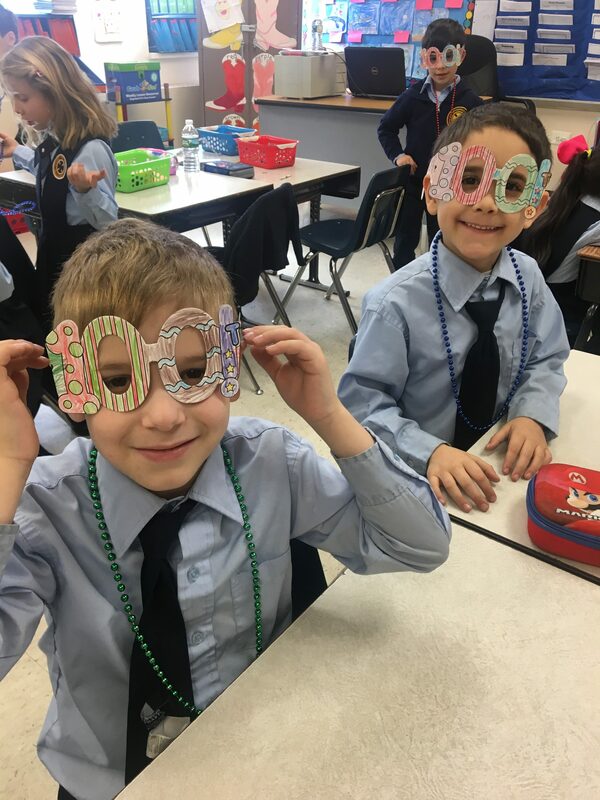 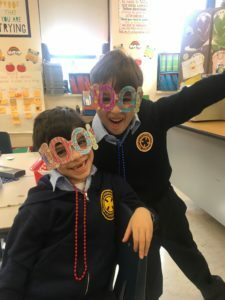 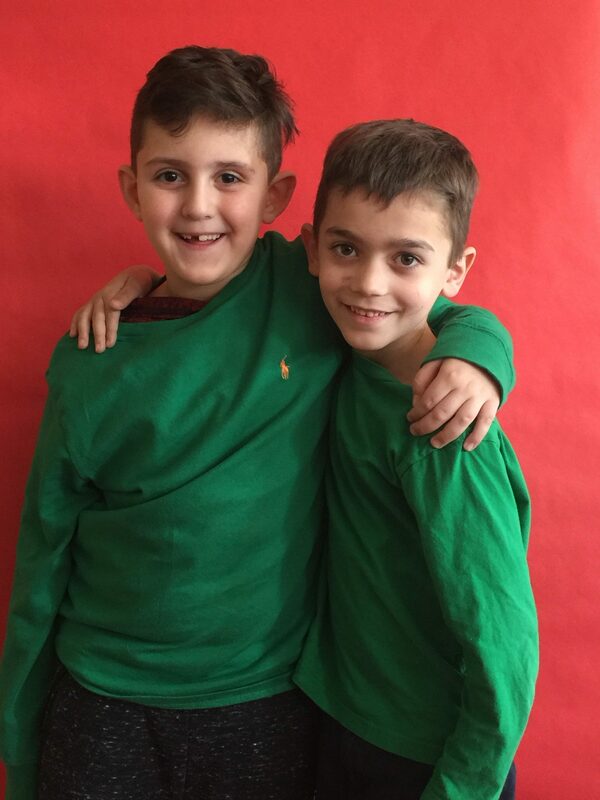 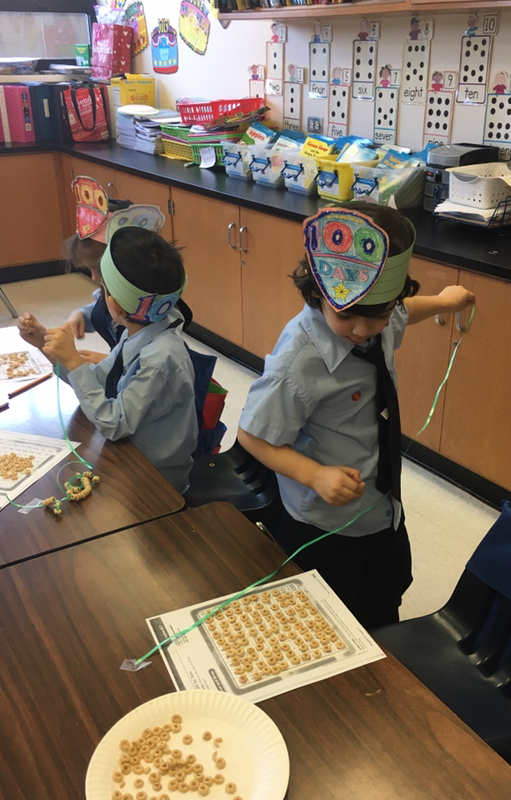 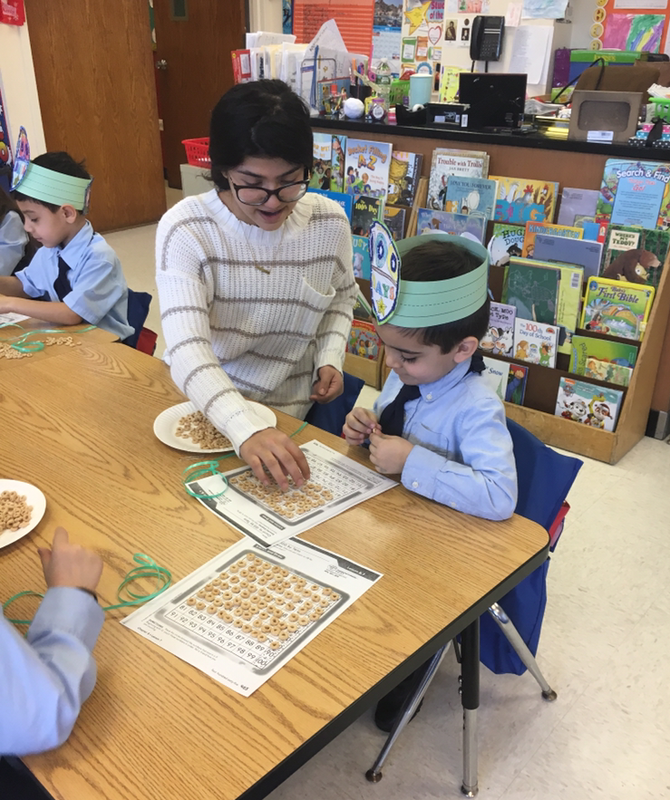 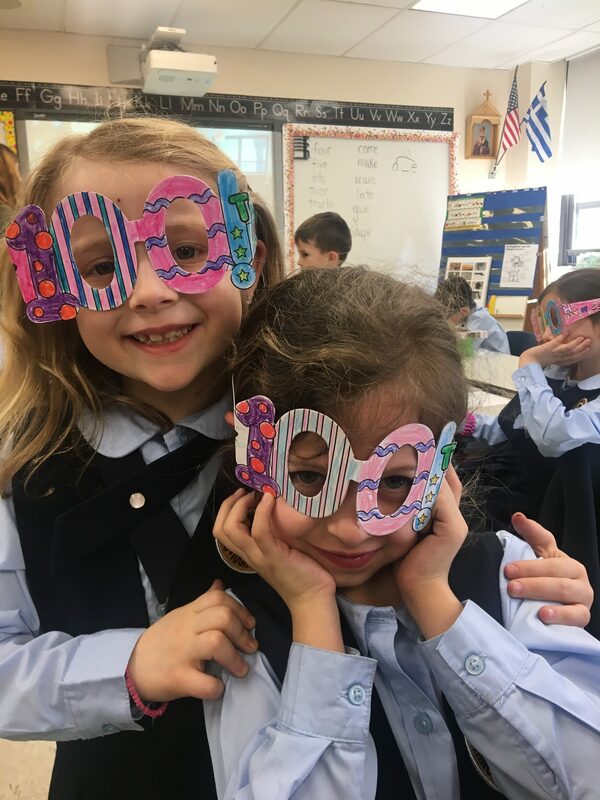 On the 13th, we celebrated the 100th Day of School with a variety of activities. 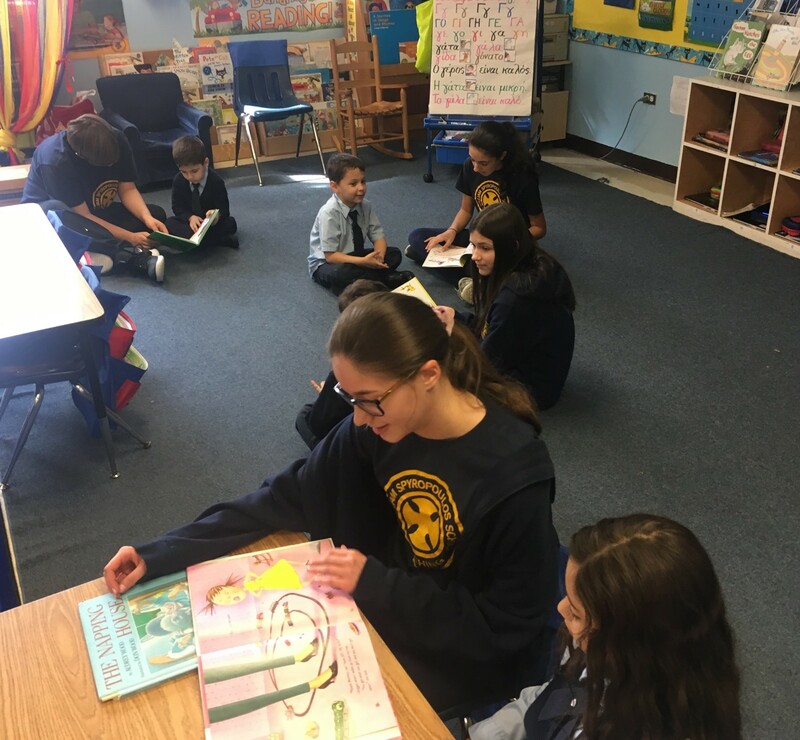 The highlight was when our eighth grade seniors experienced what it would be like to be priests, administrators, teachers and secretaries for the day. 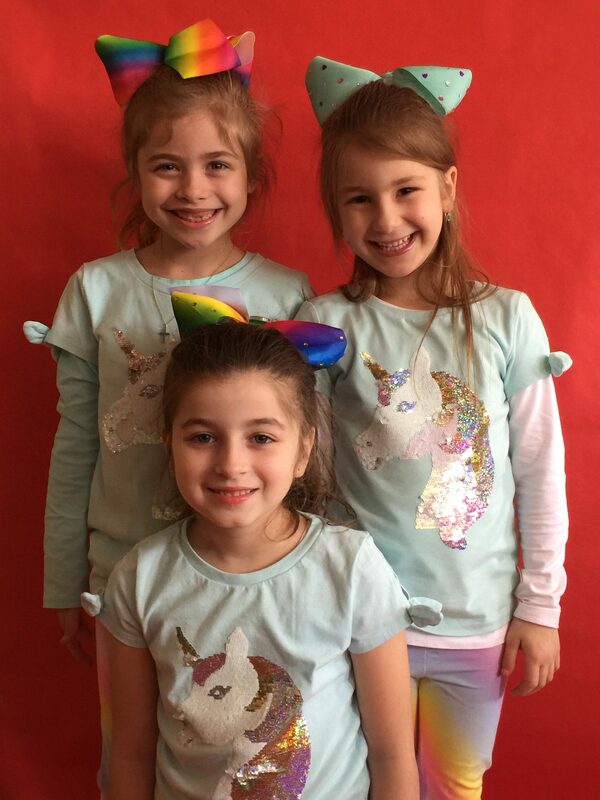 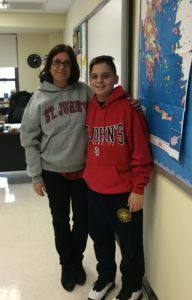 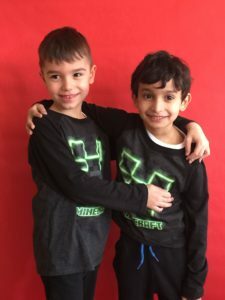 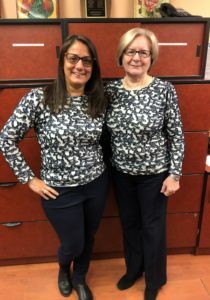 The last week in February was designated as SPIRIT WEEK. 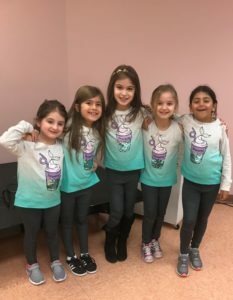 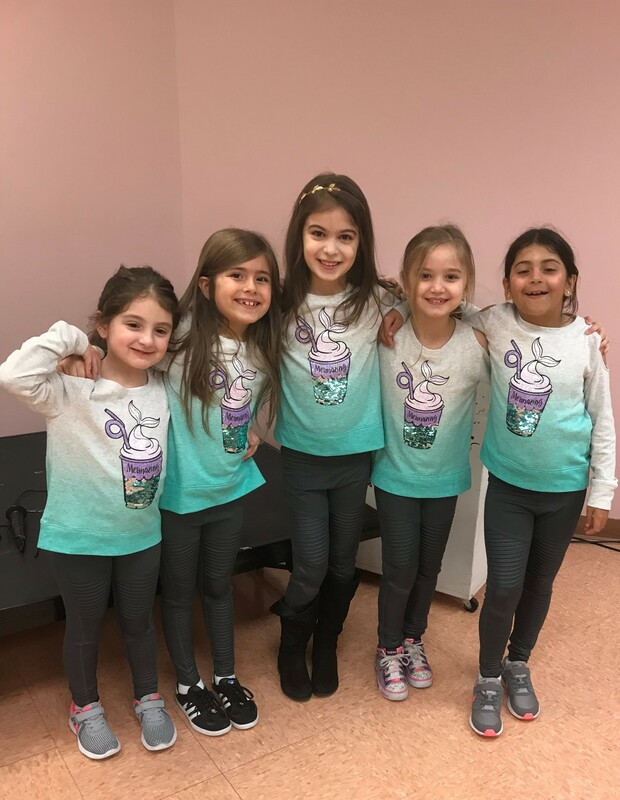 Our Spyropoulites enjoyed Movie Monday, Twin Tuesday, Wacky Sock Wednesday, School Colors Thursday, and Favorite Team Friday. 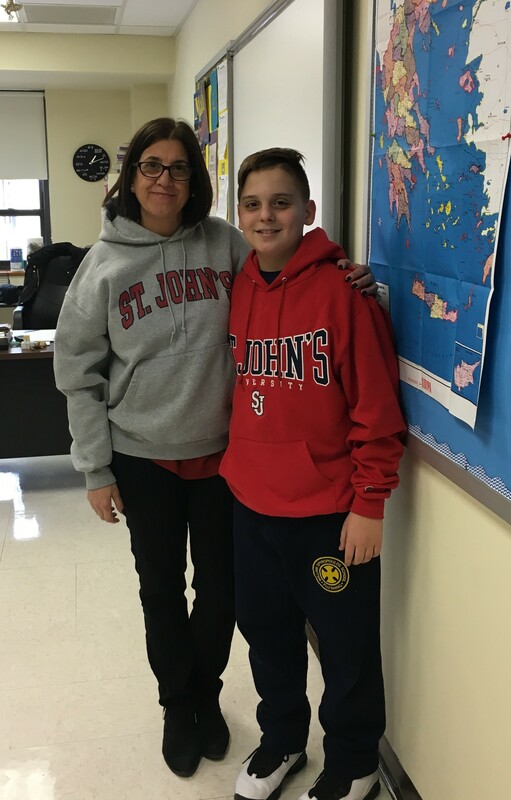 Students and faculty members participated and showed off their school pride!